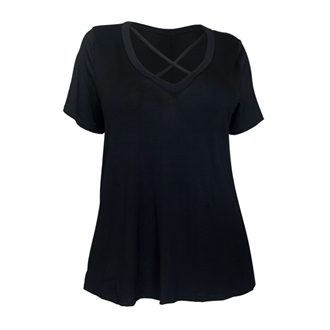 Plus size top features short sleeves with v-neckline. Cross peep hole detail. Rayon blend. Available in Junior plus size 1XL(13/14), 2XL(15/16), 3XL(17/18).